When The Artist won Best Picture at the 2012 Academy Awards, critics and pundits were beside themselves. After all, how could a silent movie, made in modern time, so easily capture the jaded and cynical imagination of the voters? The answer is very simple — such films have a magic all their own. With the release last week of an excellent Blu-ray update of the number eight movie on our list, we are once again reminded of this fact, and find our thoughts drawn to this earliest form of cinema. 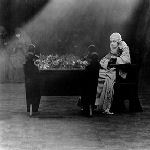 With that in mind we offer up these humble suggestions of the 10 Greatest Silent Movies of All Time. These are the movies that have stood the test of time, defined the art form, and sealed their maker’s fate as some of the greatest creative geniuses ever. 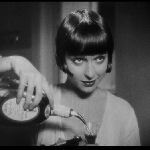 Be it 2013 or 1913, they all prove that the thrill of excellent moviemaking doesn’t necessarily require a soundtrack. Louise Brooks was not much more than a pretty face when she was cast by director G. W. Pabst as the envelope pushing, sexually provocative Lulu in what would become her star-making vehicle. Scandalous at the time, it is now seen as one of the few films from the era which defied convention to offer up a completely contemporary and enlightened take on the values of the dying jazz era. The rest of the movie is just as amazing as Brooks’ brave performance. Religious films don’t get any more reverent and regal than this Cecil B. DeMille stunner. While it would be remade in 1961 by Nicolas Ray, the early master of faith-based majesty used every trick in his arsenal to create a retelling of Christ’s Passion that inspires as much as it amazes. The sequences where Jesus speaks to his disciples and the iconic Last Supper will soothe your soul with their grace and gentility. DeMille used famous paintings as his inspiration and it shows. After the wild success of his inventive (if racially horrific) take on the Civil War, Birth of a Nation, original auteur D. W. Griffith decided that his next film needed to be an ambitious, three and a half hour epic about mankind’s injustice to each other (partially in response to the heavy criticism he took on Birth). Interweaving four separate but thematically linked stories, the movie was not a financial success. 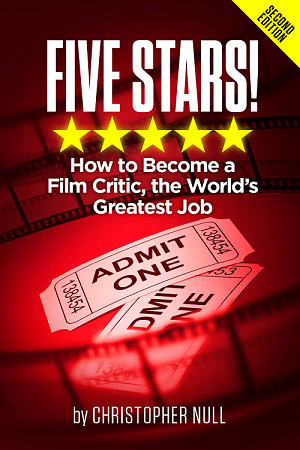 Critics, on the other hand, hailed the movie as a major technical and artistic achievement. 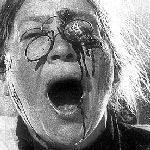 Sergei Eisenstein is known as the revolutionary director whose experiments in editing defined the concept’s viability and value to the fledgling film medium — and this is the main expression of same. Depicting a 1905 mutiny by sailors against their officers, the resulting masterpiece features sequences that, decades later, were lifted by filmmakers as diverse as Woody Allen (Love and Death) and Brian De Palma (The Untouchables) as both homage and a how-to for creating suspense out of suggestion and action out of carefully constructed quick cuts. German Expressionism set out to combine concepts within the avant garde with those of the rising film format, and the result was fantastical films like this. The main story centers on a man offering up a surreal story about a sideshow pitchman, his zombie subject, and a series of murders. Then director Robert Wiene works a special kind of magic on the material, leading to a last act twist that still defines the horror genre to this day. As iconic as any fright flick made before or since. Call us old fashioned and cornball, but we really do love this Charlie Chaplin tearjerker. 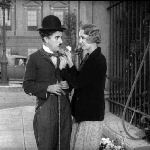 Sure, Modern Times was more irreverent and The Gold Rush epitomized its maker’s gift for combining pathos with baggie pants slapstick, but here, Chaplin wears his heavy heart on his sleeve, telling the touching tale of a blind flower girl and the pauper who she befriends. Naturally, she has mistaken him for a wealthy millionaire, and by the time of the final denouement, we are ready for the waterworks. They arrive in truly cathartic waves. 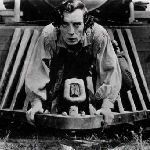 The contest between Charlie Chaplin and Buster Keaton is like an argument over fine wine — it’s all just a matter of exquisite, exceptional taste. For us, Old Stone Face wins if only because he managed to avoid some of the overt sentimentality of his peer’s pristine efforts. Centering on the Civil War and a lonely locomotive driver forced into defending the South, the last act train chase stands as one of the greatest action sequences in this history of the medium. 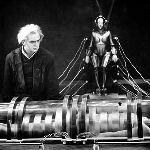 Fritz Lang helped define the science fiction film with this amazing allegory focusing on a future city where disgruntled workers are brainwashed into rebellion by a mad scientist and his humanoid female android. Even by 2013 terms, the sets and the special effects are jaw-dropping, and Lang pushed the boundaries of acceptable storytelling by couching his narrative in highly symbolic terms. 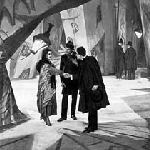 Nearly 100 years later films are still lifting images and ideas from this movie’s vision of the shape of things to come. At its core is the simple story of an unfaithful country husband, his loving and naïve wife, and the sassy, brassy woman from the city who wants to run away with him. What follows, however, is a truly moving melodrama dressed up in the undeniable artistic acumen of F. W. Murnau. In a career which saw him create one of the definitive early portraits of Gothic horror and Bram Stoker’s famed bloodsucker (Nosferatu), this is, perhaps, his crowning glory. This is a special, special movie, a familiar story told in a totally unfamiliar way. 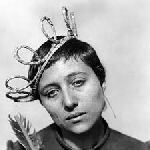 Director Carl Theodor Dreyer decided to do away with any traditional spectacle and instead makes the daring choice of filming almost everything in close-up. Just the iconic actors’ faces. Nothing else. Just the pure performance of their facial expressions and reactions. The result is heartbreakingly brilliant and powerful in its drama. It’s also incredibly emotional. You’ll never forget Maria Falconetti’s fragile beauty after watching this amazing accomplishment.